Call Flowers of Boca... The place where flowers are uniquely designed and affordably priced. We're a local Boca Raton, Florida florist boutique with a lovely variety of fresh flowers to suit any style or budget. It is our pleasure to assist you with any local, as well as worldwide deliveries and remember that corporate accounts are always welcome. For your convenience, we offer daily floral delivery to local funeral homes and hospitals. We hope you enjoy your online shopping experience with secure 24-hour ordering right at your fingertips. If preferred, you may call us to place orders direct at (561) 465-2968. The conception for Flowers of Boca began over 35 years ago, when the beauty of life and it’s natural variations of shape, color, texture, and scent caught the attention of two young men’s souls. The connection would transform their world’s allowing each to create art from and with flowers. Here at Flowers of Boca, we create custom designs with Dutch flowers using organic and man-made materials. Stimulating the senses we incorporate dried mushroom, curly willow, driftwood and bamboo to create texture. Colored gems and wire, river rock, rope and a variety of green leaves visually enhance our creations. Gift Ideas for All Seasons ~ Shop from our Green Plants, Blooming Plants and Dish Gardens for a gift that adds life to any room or office. 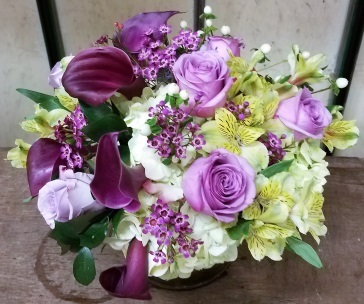 Custom Wedding Flowers & Special Events ~ Call us at (561) 465-2968 to schedule a consultation. We would love to help you start planning flowers for your dream wedding or any special event – large or small. Our talented designers create bouquets, flower arrangements and on-site decorating with each client's individual style and budget in mind. 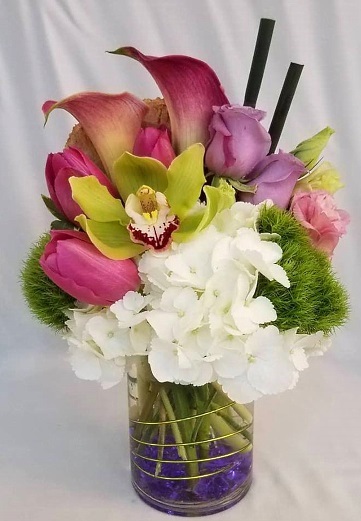 Thank you for visiting our website with flowers delivered fresh from your local Boca Raton, FL flower shop, Flowers of Boca!